Harper Woods wakes up every morning on Silver Hill Farm feeling like the luckiest woman in the world. She’s engaged to the tall, dark dreamy Shay and just downstairs are the gorgeous tea rooms she’s always dreamed of owning. As news of the discovery spreads through the Silver Hill, it seems everyone has a secret history making them the rightful owner. In particular, Will Frampton, stubborn and irritatingly handsome Lord of Silver Hill House, the crumbling stately home the other side of the hill. Too busy trying to untangle the truth, Harper doesn’t notice Shay getting rather close to his ex from the village. Harper thought she had everything she ever wanted. If she solves the mystery of her sparkling prize, can she hold onto her dream, or will she lose it all, and be left broken-hearted? The Beginning of the World in the Middle of the Night sounds really interesting! That’s going right on my TBR! All new releases. I haven’t read any of these. Enjoy your reads this week! Your books look tempting…I am curious about The Beginning of the World in the Middle of the Night. Thanks for sharing…and for visiting my blog. The Beginning of the World in the Middle of the Night (boy that title is long) sounds really interesting. I hope you enjoyed it! 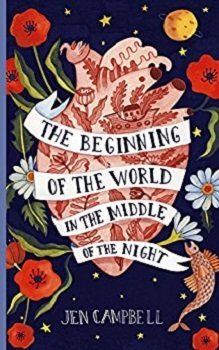 The Beginning of the World in the Middle of the Night sounds like a book I’d like to read but will probably never do it! 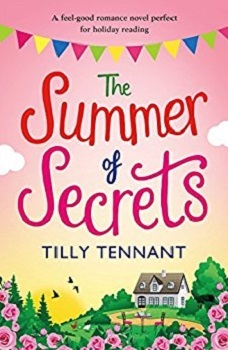 I met Tilly Tennant at a book blogger/author meet up – she’s lovely! It blew my mind when I found out she is actually is Sharon Sant!! 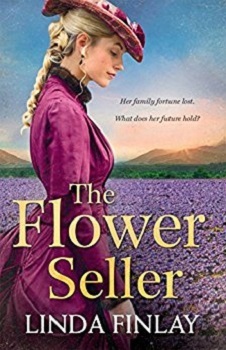 Oh Gosh, I love the colours on The Flower Seller’s cover! That’s a pretty one.